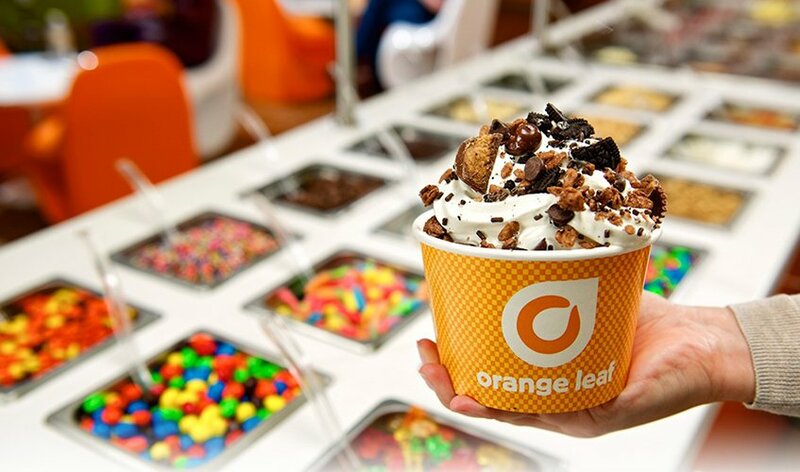 Orange Leaf offers a multitude of delicious, traditional and original frozen yogurt flavors, along with no sugar-added and lactose-free alternatives, customized with a generous selection of 36 do-it-yourself toppings. Even more, Main Street’s shop will offer fruit smoothies, Swizzles (a blended treat similar to Dairy Queen’s Blizzard) and frozen yogurt cakes. But the differences don’t stop there. Orange Leaf has tipped the scales with its set price per cup. Choose from three cup sizes and prices, then fill it up with your choice of yogurt and toppings for one price, every time. No more wondering what the weight will cost you. Froyo fans on Main Street can indulge in their favorite flavors inside or outdoors on new patio seating.